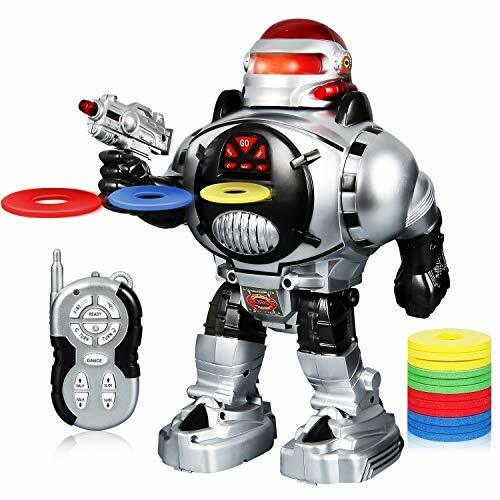 The super cool remote controlled robot has a variety of cool features including LED illuminated eyes, cool sound effects and a simulated machine gun, all of which make it fun and dynamic. 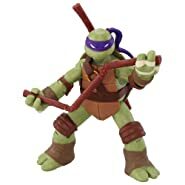 It can also perform functions like walking, sliding, dancing, speaking and shooting. 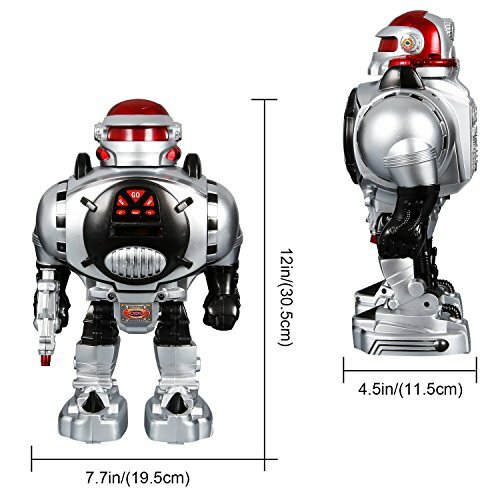 Crafted out of high-quality, non-toxic ABS plastic for health safety and wear resistance, this robot guarantees years of exciting play. The robot features rounded edges and soft curves to eliminate potential injuries. 1. Keep the robot away from flames. 2. 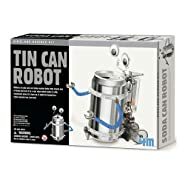 The robot requires 4 “AA” batteries(Not Included), and the remote controller requires 2 “AA” batteries(Not Included). 3. For better control effect, the remote controller should be aimed at the robot’s head position sensor. 4. 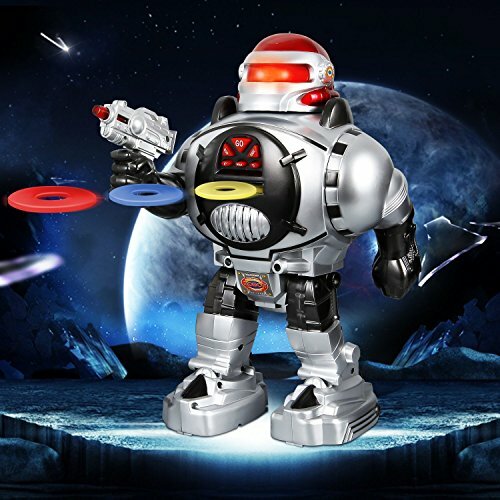 When launching the disc, you should first press the “READY” button, and then press the button of the launching disc after the robot makes a voice command. 5. Switch on the robot, and press the 'GO' button on its chest before using all other buttons on the robot as well as the remote controller. 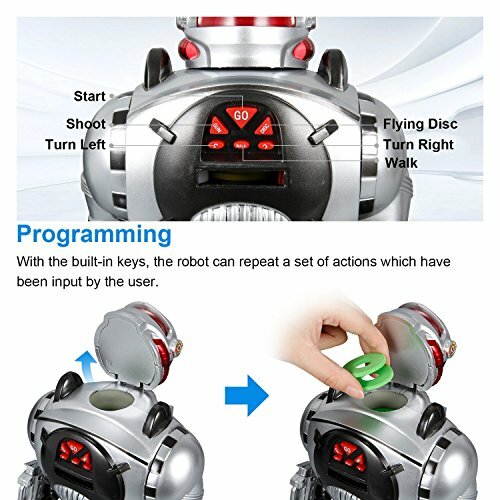 INTELLIGENT PROGRAMMING: With the built-in keys, the robot can repeat a set of actions including walking, sliding, turning left, turning right and shooting which have been input by the user. TWO MOVEMENT TYPES: Walking and Sliding Modes allow the robot to go forward / backward, and turn left / right at the command of the user. 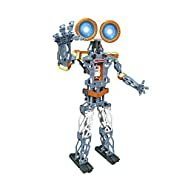 The flexible arms make the robot more realistic. SMART DESIGN: The SGILE super cool remote controlled robot has a variety of cool features including LED illuminated eyes, cool sound effects and a simulated machine gun, all of which make it fun and dynamic. FIGHTING MODE: After pressing the "READY" button, the robot will enter into the combat mode, where the flying disc can be launched towards various directions in the air like a hero. 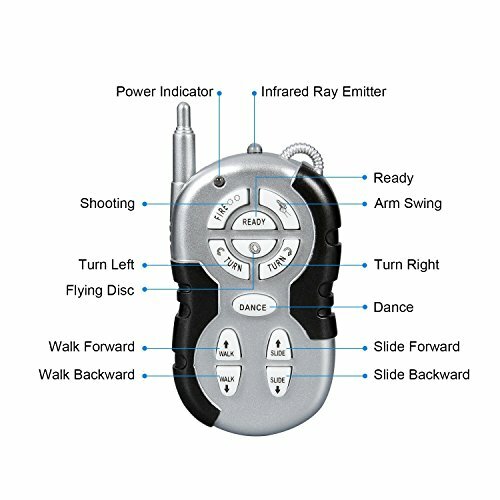 REMOTE CONTROLLER: Crafted out of high-quality, non-toxic ABS plastic for health safety, the cellphone-shaped controller gives you full control of the robot to make it dance, switch modes and change directions.